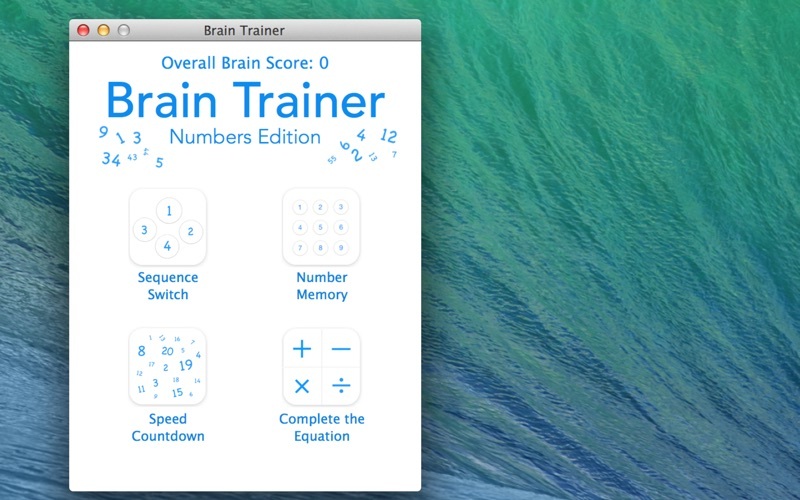 Try out the New Numbers Edition to Brain Trainer!!! 4 Different Fun Number Games in ONE app!! 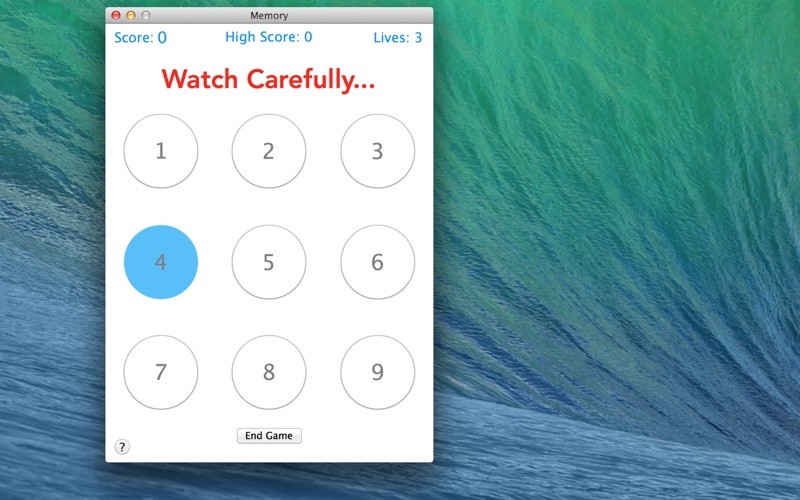 Get Your Brain in Shape this Year and Compete with Your Friends on Game Center with Brain Trainer Numbers Edition! Quit playing mindless games on your computer! 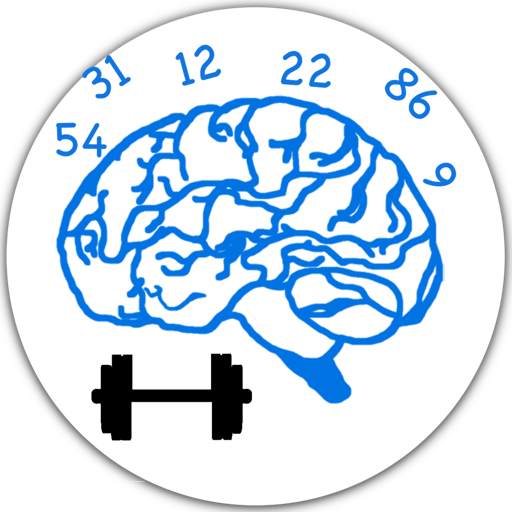 Download Brain Trainer Numbers Edition and improve your coordination and mental skills while having fun!! 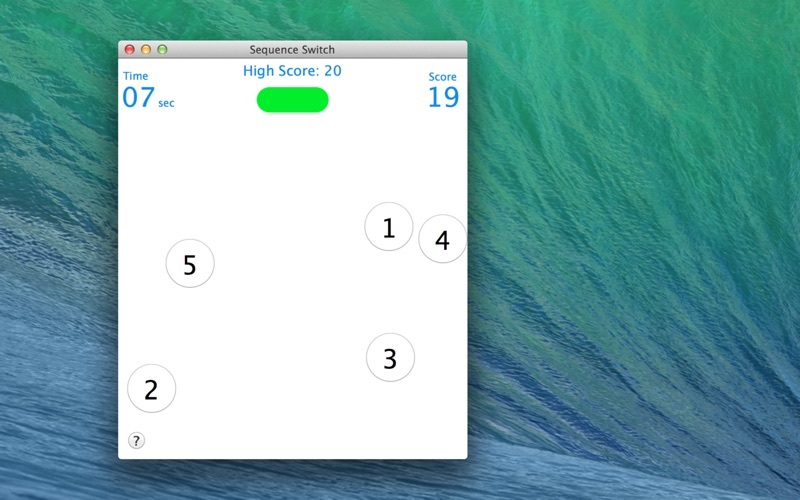 Memory, Complete the Equation, Speed Countdown, and Sequence Switch! You will be given an equation with two numbers and an answer. Tap the correct sign that completes the equation. 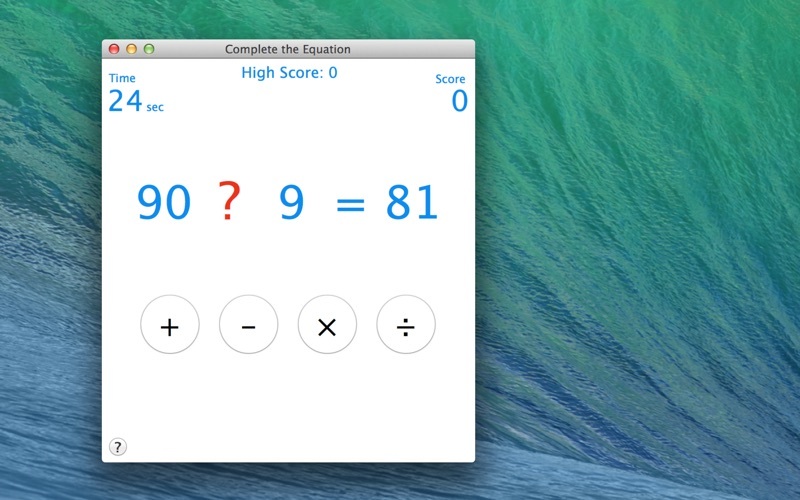 You have 30 seconds to get as many correct as possible. Tap the wrong sign, and it's game over. Tap numbers 1-20 randomly distributed on screen in backwards order. See how fast you can do it! Tap the wrong number and it's game over! Tap numbers 1 through 5 in the correct order. If the image at the top of the screen is green, start at 1 and count up to 5. If the image is red, go in reverse and start at 5 and count down to 1. For each correct number tapped you get a point. You have 30 seconds to score as many points as you can. Tap the wrong number and it's game over! Nine numbers highlight in a random order. Watch and try to memorize the order and repeat it back! You get a point for each correct number tapped and 3 Lives to start with. Each mini game has its own high score. 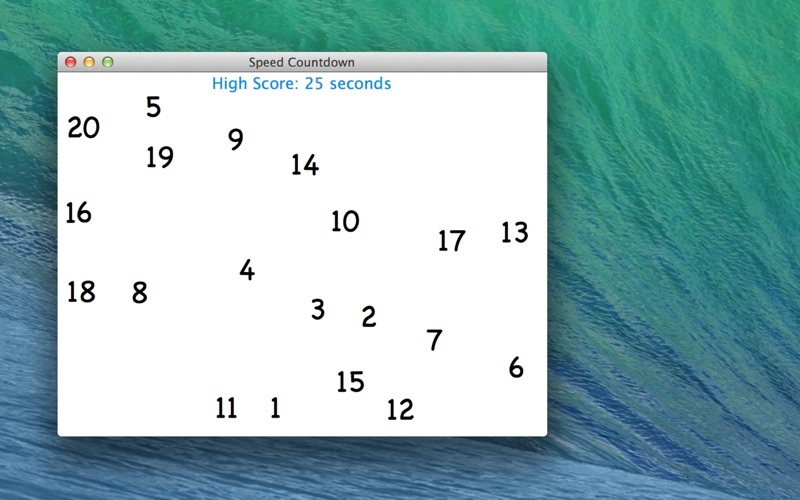 An OVERALL SCORE is calculated using all of the high scores.